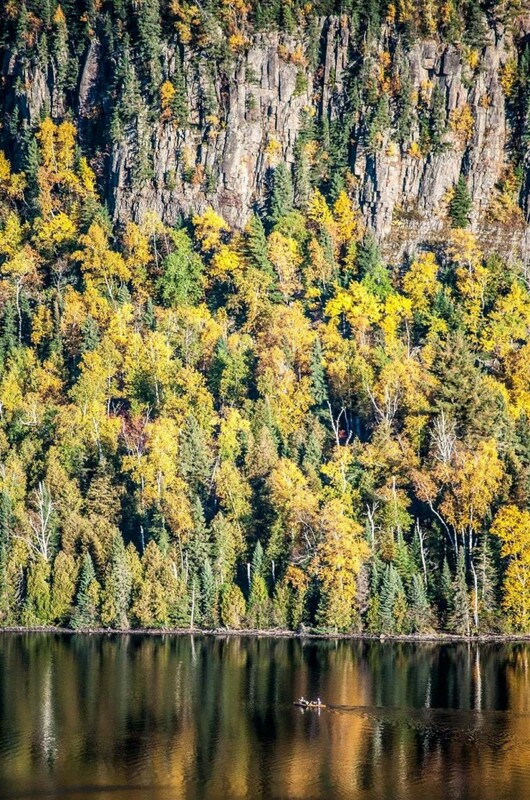 This area is referred to as the “Minnesota Mountains” for good reason. With crystal clear waters below and towering 400ft cliffs above, this incredibly scenic route will take you through some of the most unique lakes in the state. The Border Route Trail runs through the area as well with multiple spur trails which climb quickly to the tops of those towering cliffs, offering splendid views into Canada and beyond. Plenty of fishing options abound depending on what you’re looking for. Clearwater, Mountain and East and West Pike are great Lake Trout lakes in the spring. If it’s Walleye you’re after Caribou and Pine lakes are tough to beat. Smallmouth Bass and Northern Pike can be found in good numbers throughout the entire area, and even a number of managed trout lakes holding Brook Trout can be found if you’re willing to work. No traveler to these parts should miss a visit to Johnson Falls; a pristine set of wilderness waterfalls which offers refreshing swimming holes and seclusion. A longer loop can be made by traveling the Canadian border lakes East to North and South Fowl. Moose Lake is seldom visited and may be one of the best Lake Trout lakes in the state.